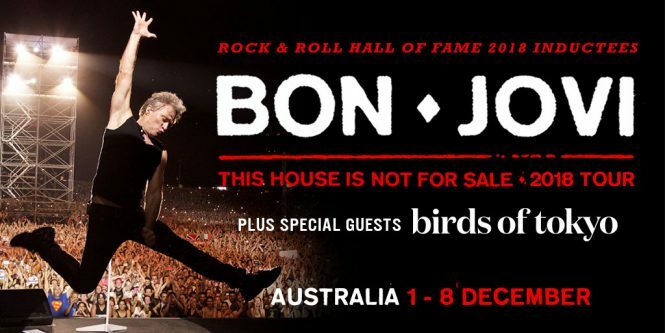 Pleased to announce that we’re hitting the stadiums and going on tour with Bon Jovi in December! 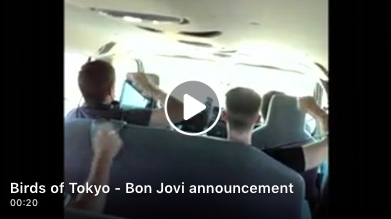 This is the actual video that convinced them to have us on board – Birds circa 2014… If you want to join in on the fun there are still tickets left – grab em at www.birdsoftokyo.com/tour-dates. Kenny, Sparky, Berney, Westy + Glenn.